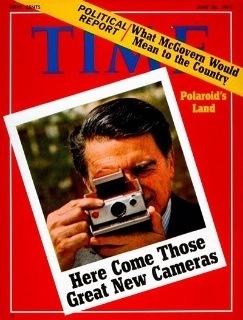 Forty-one years ago yesterday, Polaroid made its debut. The SX-70 was the first instant camera which, with one press of a button, delivered a photo that developed in daylight. The introduction was such big news that it made the cover of Time magazine. This entry was posted in digital, senior lifestyle, tech and tagged instant camera, Polaroid by loiswhitman. Bookmark the permalink. Just a slight correction. 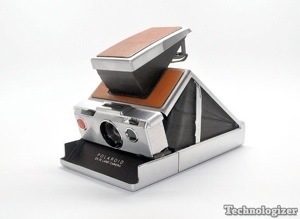 Polaroid has been around a lot longer than 40 years. This anniversary commemorates Polaroid’s invention of color instant photography. Seeing a color photo in sixty seconds was an amazing achievement and the soft color tones of the Polaroid system was hailed by photographers all over the world.